The Assyrian King so respected King Omri of Israel, he did what? In the mid-1800 after the digs of Assyrian treasures began: the rush to translate them and fit them into Biblical history began. The fact, that Shoshenq I as Shishak was codified in 1828 for these later transcribers it made certain any mention of Israel by Assyrians, had to be after Shoshenq’s I reign 943-922BCE. 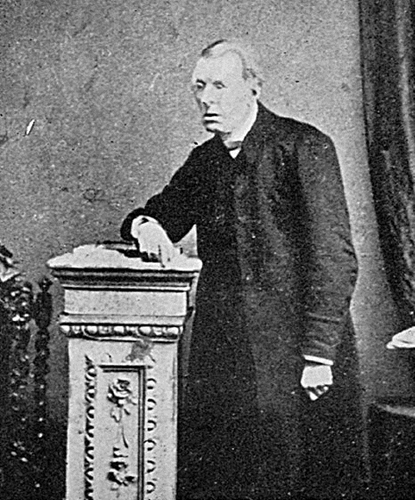 In 1851Rev. Edward Hincks, a 2nd generation clergyman and early expert on the Assyrian language made the famous identification of King Jehu, the son of Omri on the Assyrian Black Obelisk (Chavalas, Younger Jr. 2002: 72, ff 15-16). Now here is where real biblical record slicing, chopping, and dicing takes place. The Jehu in the Bible is the son was Jehoshaphat, the son of Ninshi- 2nd Kings 9:2. Not of King Omri, whose son was Ahab, in fact this Jehu caused the death of the sons of Ahab. Didn’t the Assyrian king know whom he was actually depicting on his obelisk? I believe he did, it was Hincks that didn’t know- a clergyman! Since Hincks translation of Jehu son of Omri, others have noticed the difference between the biblical identification of Jehu and this Assyrian identification. Has this resulted in a reconsideration of Hincks translation? No, it hasn’t. What has happened is modern scholarship asserts Hinck’s identification is correct. The Black Obelisk is held to this very day as depicting Jehu, son of Omri. One interesting explanation, of this impossible translation of Hinck’s is the Assyrian king so admired the foreign Israelite King Omri he changed the name of Israel to Omri-land (Stiebing, Jr. 2003: 249). Most in scholarship today, simply ignore any objection. For them Hinck’s translation is correct, the Bible or the Assyrians were wrong. What isn’t considered by scholarship is that Jehu overthrew the actual royal house of Omri and instituted his own house, as the royal house of Israel. Other registers of the Black Obelisk clearly shows the disgust and punishment of usurpers like Jehu, by the Assyrian king. Nor is the history of Omri recorded in the Bible considered. The royal house of Jeroboam died out resulting in the first of several civil wars for the kingship title of Israel. General Omri ruled for 12 years, four of them during that civil war before becoming king. One last problem exists and that is with the Black Obelisk itself. It does not fit with the history of obelisks in the ancient world. While much smaller than the more known obelisk’s of Egypt. The era of obelisks dies out in the ancient world from the end of the 19th dynasty ca. 1292-1109BCE until Egypt’s 26th dynasty ca. 664-525BCE. Sticking the Black Obelisk in the 9th century of Assyria, as is currently done makes the obelisk stick out in history like a sore thumb. Since the only Assyrian Obelisks appear during Shalmaneser reign. Based upon the dependence of Shoshenq I, origin of the identification of Jehu, the sore thumb that is the Black Obelisk, the total lack of respect to the Bible record, and the disrespect to the Assyrian King Shalmaneser, the third by that name. I can’t accept Rev. Hinck’s translation. Something is wrong with it. Addendum I have since learned of another translation from a later dated Assyrian monument also using the term Omri-land. It is not the same Assyrian wording but results in the same translation Omri-land. The evolution of word construction and meaning moves slowly even today, yet in ancient Assyria with respect to Israel it moves quickly. I dismissed it as simply more desire by Western scholars to force scripture with real history improving neither. Chavalas, Mark W., and K. Lawson Younger Jr. Ed. Mesopotamia and the Bible; Comparative Explorations. Grand Rapids, MI: Baker Academic—Baker, 2002. 72 ffs 15—16. Print. Stiebing, William H. Jr. Ancient Near Eastern History and Culture. N.p. : Longman, 2003. 249. Print. © Abram Back in Time 2000-2107. All Rights Reserved. Really Old Stuff Means What? What do we know about writing? Ancient Egypt and Noah’s Ark! © Ric Lotfinia and ABiT The Bronze Age Bible Chronology Site, 2000-2107. Unauthorized use and/or duplication of this material without express and written permission from this blog’s author and/or owner is strictly prohibited. Excerpts and links may be used, provided that full and clear credit is given to Ric Lotfinia and ABiT The Bronze Age Bible Chronology Site with appropriate and specific direction to the original content.